It is likely that Friends from Epping were there, and that they met in a barn since no meeting house had been built in the area. Shortly after Fox’s visit a Quaker meeting was established in Waltham Abbey in a lane leading off the Sewardstone road, still called Quaker’s Lane. After the death of Edward Burrow and Richard Hubberthorne (in 1662) George Fox assumed the leadership of the Society of Friends. Early Quakerism was a millenial religion. Some Friends believed that Christ would return in the near future and others that there was now a chance to create a better world order. Edward Mann was a prominent Friend who lived at Ford End near Winchmore Hill. In 1672, he was given an orchard in Waltham Cross by Mary Bennett. In the same year, Thomas Brand of Theydon Garnon also gave him an orchard. It is not known whether the Meeting Houses were erected on the orchard grounds or whether the sale of the land brought in enough money to build them on other suitable sites. It was while staying with his friend Edward Mann that George Fox wrote an ‘Epistle to Friends in the Ministry’ in 1690, not long before he died. John Warner, in a 1701 document, left “£10 for the People called Quakers.” He also founded the John Warner School in Hoddesdon which is now a community, foundation comprehensive for 11-18 year olds specialising in science. Several score descendants, including a member of Epping Meeting, attended an anniversary gathering held at the school, around 2003. Edward Mann gave £20 to Six Weeks Meeting (the body still responsible for Friends’ premises in the area) towards the cost of Epping Meeting House which was built in 1705. It was of red brick with a thatched roof which extended to a portico of pillars round the building. It stood close to the present meeting house in Hemnall Street in the grounds of Theydon Grove. The Dimsdales were from Hoddesdon but a branch of the family settled in Theydon Garnon in about 1640. Robert Dimsdale became a Quaker. He was a surgeon and doctor and treated his patients at Kendalls on the site of what is now Kendal Lodge in Hemnall Street. He bought the 30 acre farm at the end of the 17th Century and may have been in the group who helped build the first Meeting House in Epping. He went to America twice, the first time accompanying William Penn to help establish the colony where a greater degree of religious freedom could be practised. He died in 1713 and left his estate to his two sons John and William. Both were surgeons, John remained at Kendalls and William moved to Bishop’s Stortford. There were several generations of Dimsdale doctors in that town and in Hertford during the 18th and 19th centuries. John’s sons Robert and Thomas were born at Kendalls in 1705 and1712. Thomas moved back to Hertfordshire and became a Fellow of the Royal Society. He worked on the practice of smallpox inoculation, publishing a treatise in 1766 which was translated into several languages and circulated on the continent. In 1768 and 1781 he was invited to St Petersburg and successfully inoculated the Russian Royal Family, followed by large numbers of people in Petersburgh and Moscow. He was rewarded with an appointment as physician to the Empress, travelling expenses, gifts and a Russian baronetcy. Throughout the 1770s he conducted a pamphlet debate with a Dr Lettsom who proposed inoculating the poor at their own houses. Thomas Dimsdale opened an inoculation house under his own direction for persons of all ranks in the neighbourhood of Hertford, which was used with great success. In 1781 he printed “Tracts on Inoculation” which were liberally distributed, but never sold. He was buried in the Quaker burial ground at Bishop’s Stortford with other members of his family. The burial ground, at the bottom of the steep hill that is Newton Road, was presented to the town as a garden by the Society of Friends in October 1935. At the beginning of the 18th century there were very few members, but in 1773 there was a slight increase and Meetings were held every three First Days out of four. Probably the fourth was at Waltham Abbey, to help them keep up their Meeting. A week-day Meeting was also established. Friends met on Sunday morning for worship, and The Evangelisation Society met in the building in the afternoon and evening. Friends from outside the district sometimes attended Meeting and left records in their diaries. Thomas Scattergood, an American Friend, recorded that he attended Epping Meeting in 1794. In 1812 Mary Dudley is recorded as addressing a public meeting in Epping Meeting House. Epping was attended by a very small number of Friends and was recognised as a ‘particular’ Meeting – one not large enough to manage its own business affairs. In 1825 Dr Matthew Allen opened an asylum in three properties at High Beach using the principles and practices he had learned during his time at the Quaker Retreat near York. His most famous patient was the “peasant poet” John Clare who was admitted in 1837 suffering from delusions. John Clare stayed for four years but left in July 1841, walking 80 miles home to Northborough, surviving by “eating the grass by the roadside”. He wrote several poems that depicted the landscape around him. In 1843, John C. Whiteman, the owner of Theydon Grove, proposed a land exchange. He offered to take possession of the first meeting house and build another one on the plot of land next to it. This meant the burial ground was retained with a section of the original 1705 boundary wall. 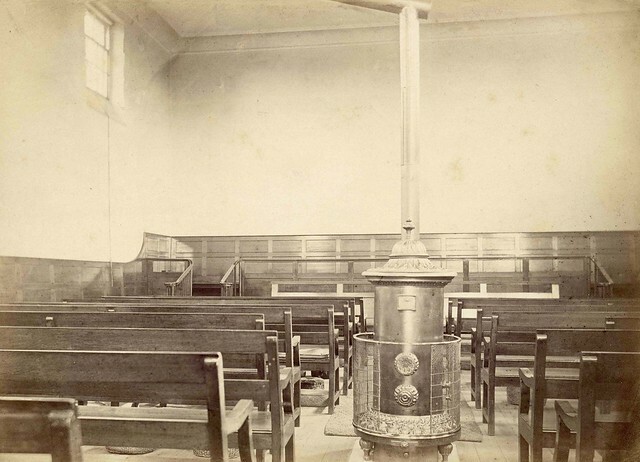 The new (and still in use) meeting house was ready in 1850. The main room features the dark wood panelling and benches from Plaistow Meeting House. Henry Doubleday (1808-1875) of Epping was the eldest son of Quaker grocer Benjamin Doubleday and his wife Mary. He lived at the same time as his cousin and namesake Henry Doubleday of Coggeshall (1810-1902), who became a horticulturist. Henry and his brother Edward Doubleday spent their childhood collecting natural history specimens in Epping Forest. He was the author of the first catalogue of British butterflies and moths, Synonymic List of the British Lepidoptera (1847–50). He named a number of new species of moth, including Pigmy Footman, Ashworth’s Rustic and the Marsh Oblique-barred. His moth collections are now held at the Natural History Museum. Isaac Payne founded a school, somewhere between the Roman Catholic Presbytery and the present Epping Forest District Council offices, which ran from 1800 to 1874. Rachel Day was another Quaker with a school in the High Street. Stones to the last three names are among those in the burial ground. Members of several Quaker families were active in the meeting in the 20th Century. Thomas Brand and John Warner were both ancestors of Mary Warner (1909-98), who married Frank Edmunds (1909-98). Frank and his two brothers were children of Ruth (1873-1954) and Martin Edmunds (1877-1964). Martin Edmunds came to Epping from Clavering, with his widowed mother in 1897. She came from a Quaker family in Nailsworth, Gloucestershire. At Cedar House, the Isaac Payne school was run by Caroline Abbott when attended by both Allan Warner (1870-1951) and a generation later by John Edmunds (1904-2006). Nearby in Church Hill, lived long-serving Attender Ruth Wall with her sister Nora. After their army Colonel father died, Ruth added Epping Friends to attendance at the Congregational (now UR) Church. Martin Edmunds founded a firm of stone masons and builders’ merchants in Station Road. The area around the main office has been replaced by the residential Edmunds House. Martin became Chair of Epping Town council. The Wright sisters had a school in Prospect House in the High Street. The head of the school, Sarah Ellen was killed in a road accident in the town in 1936. Her headstone is also in the burial ground, along with that of her sister Emily May, and ones for members of the Edmunds family. Two other families with children as well as the Edmunds were the Wallis’s and the Hatfields. Edward Wallis came from Darlington Meeting as a young man to farm in the Ongar district. He was Meeting treasurer for many years and even the hard of hearing followed his annual readings of the complete Advices & Queries. Dr Sylvia Hatfield, who with her husband Ted set up the main Ongar surgery, brought her family to the children’s meeting. Percy W. Bartlett, author of The Economic Approach to Peace, 1938, lived in Epping for some years after the Second World War. In the developing crisis of the late 1930s he had travelled with George Lansbury to talk to Hitler on what they called ‘an embassy of reconciliation’. Another side of this concern was the intensification of Quaker help to the persecuted, helping them to get out of Europe before and during the war, and organising relief for refugees in the aftermath. The forecourt and foyer of the Meeting House were redesigned in 1957. The stones for the present front steps came from Beech House, near Waltham Abbey, which was demolished to make way for the Jewish Cemetery close to Junction 26 of the M25. Harlow Meeting was established in 1963 in a Meeting House designed by the Quaker architect Norman Frith. He also designed Wanstead and Romford Meeting Houses. 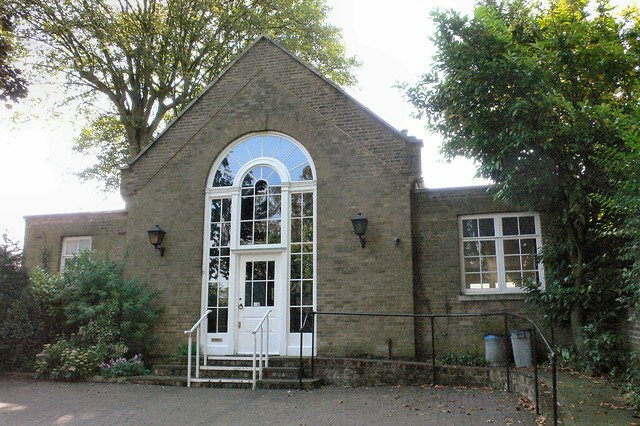 After a public appeal and fund raising in 1995, Epping Meeting House was renovated and extended. Raymond Andrews (1918 – 2010), who was part of the original Oxford Committee for Famine Relief that developed into Oxfam. He wrote a letter to the Friend “Hello God if you are there”. Gordon and Celia Barclay In 1968, Gordon Barclay was surgeon to the British Medical Team in a children’s hospital in Saigon. Celia Barclay was working in orphanages in the city and set up a toy factory. A group of Quakers in London wanted to support their work, and they set up the Gordon Barclay Vietnam Fund as a charitable trust. Derek Clark was a teacher, JP and local councillor. Moira Clark (1917 – 2009) was an artist and teacher, and developed a local bereavement support group. Myriam Gilby (1929 – 2010) was an artist, teacher and author of Free Weaving, 1978. Daisy Moore took responsibility for the children’s class for over twenty years. Deborah Padfield and Doreen Padfield, authors of Impossible Decisions: Making Decisions When No Way Seems Right, 1993. Deborah Padfield was editor of The Friend, 1993 – 97.